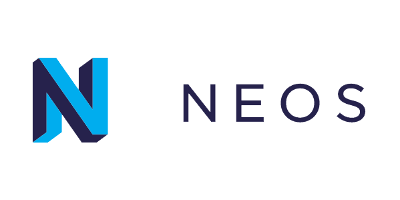 Neos is the next-generation open source content management system based on its own PHP framework. This ready-to-use Debian GNU/Linux server comes with Neos, Apache and MySQL pre-configured, is optimised for ultra-fast web hosting and can be used for free in private and commercial environments. Neos is the next-generation open source content management system, originated from the TYPO3 community. Neos is based on its own PHP framework, licensed under GPL and free for use in private and commercial environments. This ready-to-use Debian GNU/Linux server comes with Neos, Apache and MySQL pre-configured. The EC2 image is tailored for fast and secure web hosting using 100% open source packages without any license fees. The installed software packages are stable and have been carefully selected and tested against interoperation and compatibility with each other. Experience the future of web content management with Neos CMS: based on the state-of-the-art PHP web application framework TYPO3 Flow, this modern CMS features a completely new approach of editing, previewing and publishing content on the web. Neos is easily extendable, intuitive to use and lets you develop high quality, mobile responsive websites in the blink of an eye. It features excellent scalability, global content distribution functions, multiple editing modes, a flexible preview concept and content can be distributed in a multi stage environment. Unleash the full power of this modern CMS by adding services such as RDS, CloudFront, Elastic Load Balancing, etc. as required.